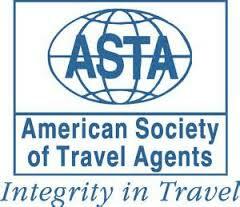 1. why should i choose a travel agent? planning a trip today can be confusing and time consuming. a travel professional not only does the work for you but arranges all segments of your travel and can often save you money. 2. can't i find lower prices on the internet? Sometimes yes and sometimes no. be careful that many times on line pricing does not include all taxes, fees and service fees. while some companies "rebate" some of their commission, you will not receive the personal service you deserve. 3. How do travel agents get paid? ​ in a majority of the cases the supplier whether it be a hotel, cruise, tour, car rental and in some cases airlines pay a commission of the total price for the trip not including taxes and fees. a common error is that travelers think they have to pay more. In fact in most cases they often pay less than booking on line. 4. why do you not permit direct booking on dreamvacationtravels.com website? We believe that the "personal touch" s essential when investing in a vacation. this website is designed to provide you with some ideas and specials. you can then contact us for pricing and availability. It all depends on how many seats remain unsold at any given time. For holiday periods tickets should be purchased immediately when the dates are being sold. for others history has shown that buying one to three months ahead will produce the lowest prices. 6. when is the best time to purchase a cruise? 7. how can i select the cruise line which is best for my family? ​The best advice is to use a travel professional who has experienced many cruise lines and will ask you questions to decide which line, which ship and which itinerary is best for you. 8. what type of documentation do i need? for travel in the united states a government issued ID is acceptable. for travel outside of the united states a passport is required for all individuals . they are valid for ten years and must have 6 months validity after a return from a trip. for some countries a visa is required. 9. How should i figure out which tour is best for me and my family? ​Make a list of places you would like to visit and when you would like to travel. then contact a travel professional to provide advice and check itineraries for you. this method also works for ports of call for cruise ships. 10. IS A TRAVEL BUDGET REALLY NECESSARY WHEN PLANNING A VACATION? THERE ARE TOURS AND CRUISE LINES AVAILABLE AT ALL QUALITIES AND PRICES. A AMOUNT OF MONEY YOU ARE COMFORTABLE SPENDING IN ADVANCE WILL HELP A TRAVEL PROFESSIONAL SAVE TIME AND MAKE THE BEST RECOMMENDATION FOR YOU. 10. suppose i have to cancel or make changes to my trip? we strongly recommend that travel insurance be purchased at time of deposit. TRAVEL INSURANCE COVERS MUCH MORE THAN MEDICAL ALTHOUGH THAT IS THE LARGEST CONCERN FOR MOST PEOPLE. IT INCLUDES LOST BAGGAGE; DELAYS IN TRAVEL; MISSED CONNECTION; EMERGENCY EVACUATION. AN IMPORTANT NOTE IS THAT MEDICARE DOES NOT COVER OUTSIDE OF THE UNITED STATES. THE POLICY MUST BE PURCHASED WITHIN 14 DAYS OF DEPOSIT TO COVER ANY PRE-EXISTING CONDITIONS. the premiums vary and are based on the age of the traveller and the amount of the trip. dream vacation travels assists in the filing of any claims. THERE ARE MANY QUALITIES OF RESORTS, TOURS AND CRUISE SHIPS AND IT WILL SAVE A LOT OF TIME FOR YOU AND THE TRAVEL PROFESSIONAL IF YOU HAVE DECIDED IN ADVANCE HOW MUCH MONEY YOU ARE COMFORTABLE SPENDING ON A VACATION. 12. IS AN ALL-INCLUSIVE RESORT WORTH IT? iT ALL DEPENDS ON HOW MUCH YOU LIKE TO EAT AND DRINK WHILE ON VACATION AND TO WHAT ACTIVITIES YOU NORMALLY PARTICIPATE IN. aGAIN THERE ARE ALL QUALITIES OF RESORTS BUT IF YOU DON'T WANT TO WORRY ABOUT HOW MUCH extra a VACATION WILL COST, THE ALL-INCLUSIVE IS THE WAY TO GO.